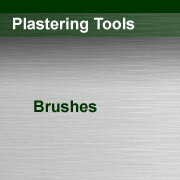 #230 - We feel that this is the finest brush made for the plasterer who wants a good brush at a fair price. These bristles are flagged, tapered and tipped, and will outlast any bristle brush two to one. 6" and 7" available. 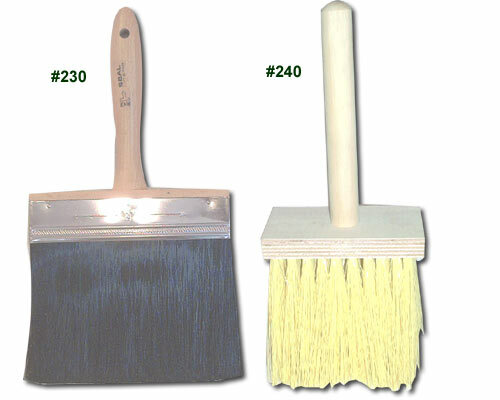 #234 & #235 - New type brush for troweling or brushing. Leaves plaster smooth without brush marks, catfaces. Felts are easy to replace when worn. #240 - Plywood back;pure best grade rice root.